Tailorgang is a market place for the fashion (clothing and wearable) industry. Conceived to help users and customers find new tailors, gang and use their services. 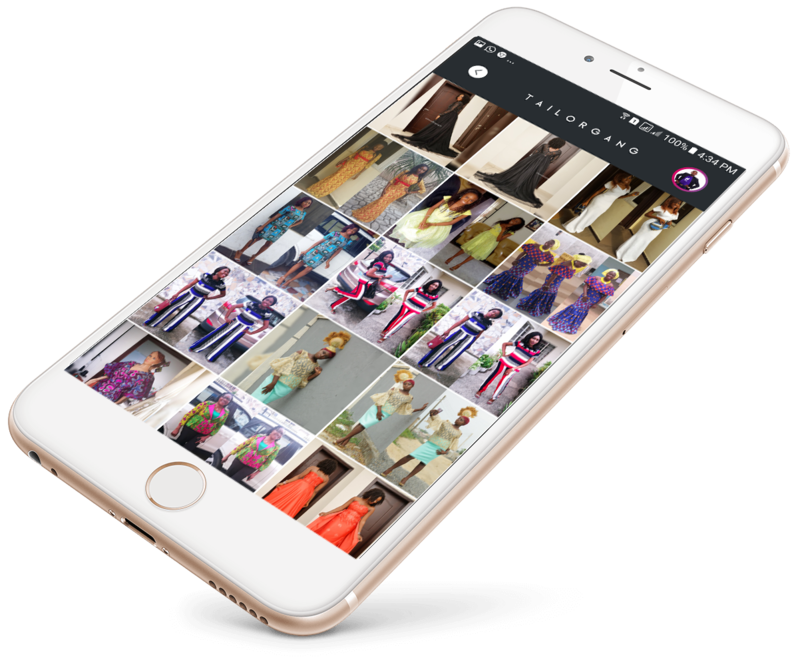 Birthed to heal the deficiencies in online fashion apps, dress you up from the comfort of your home and create more tailors by encouraging sharing of tutorials, which afford prospective tailors the opportunity to learn. We are on a mission to build the biggest clothe market from Africa, we are enabling fashion brands to even reach out the more, helping them to setup small businesses that can impact communities. Tailorgang brings the idea of social learning, imparting knowledge while keeping it simple and social as possible. We encourage brands to teach the future generation of Tailors, mastering great pieces and designs while interacting and socializing with others. Tailorgang gives the fashion business owner the opportunity to improve their business. At the core of our Enterprise Resource Planning for fashion brands, we have enabled them to manage customers, payments, deliveries, staff, and a store to sell to the world. Put your creative energy to work - Tailorgang is a modern workspace designed to reduce busywork, so you can focus on the things that matter. Collaborate with other Tailors. Learn and share like never before - Tailorgang is built for creative collaboration. Share a big file, Ideas, Designs. Sketch with anyone. You've all got the right version, and everybody's on the same page. Great features that supports Tailors and customers collaborations. Tailorgang ensures the customer is King while allowing the Tailor to learn from feedback and improve every day! 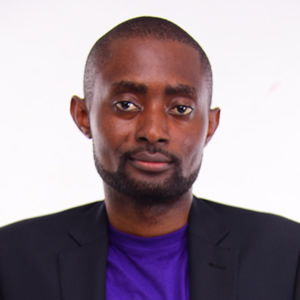 The app ensures Tailors are conscious of their delivery approach, helping them to offer quality services while also ensuring that they retain their customers. "Tailorgang is enabling an already existing market, creating more opportunities by empowering Tailors on one hand with creative ideas to spark up their businesses, on the other; we bring customers closer to the best Tailors! It is a win for the fashion community especially in Africa". Tailorgang is free. You don't need to pay to have it installed. After installation, signup and get instant access to the awesome Tailorgang mobile app. You can now checkout awesome designs from tailors around the world. Gang, chat, and make requests to tailors. Save your measurements and enjoy free and paid online classes. After you have been given access to the app, click on the colourful menu and click on become a tailor and BOOM! you are now a tailor on Tailorgang. Visit the Web App on your browser and access your Enterprise Resourse Planing (ERP) platform. You to manage orders, payments, customers, classes etc. 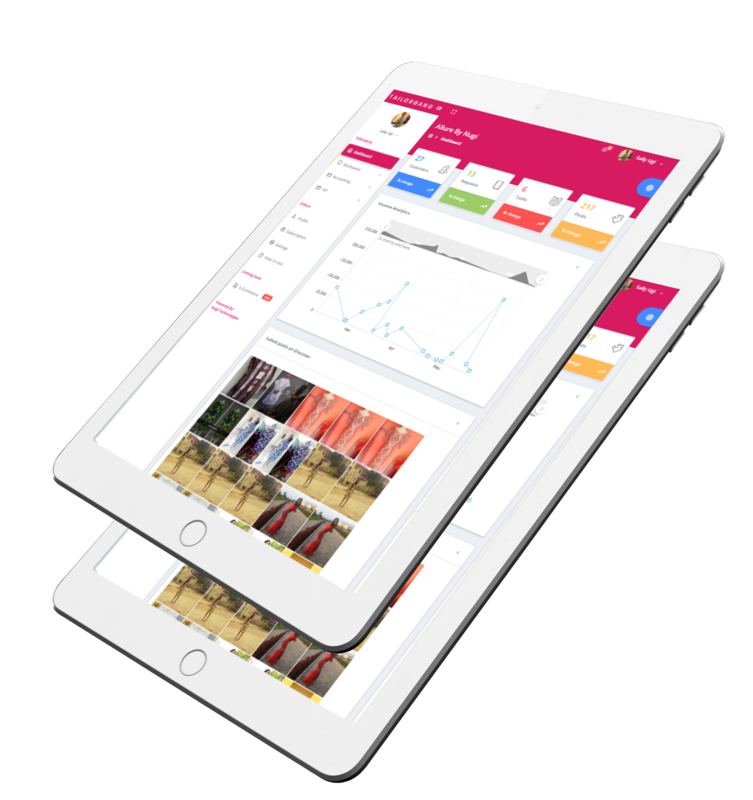 Join the community of Fashion business owners who are taking advantage of our Web Enterprise Resource planning app to manage their businesses and reach out to customers in places they never would have imagined. 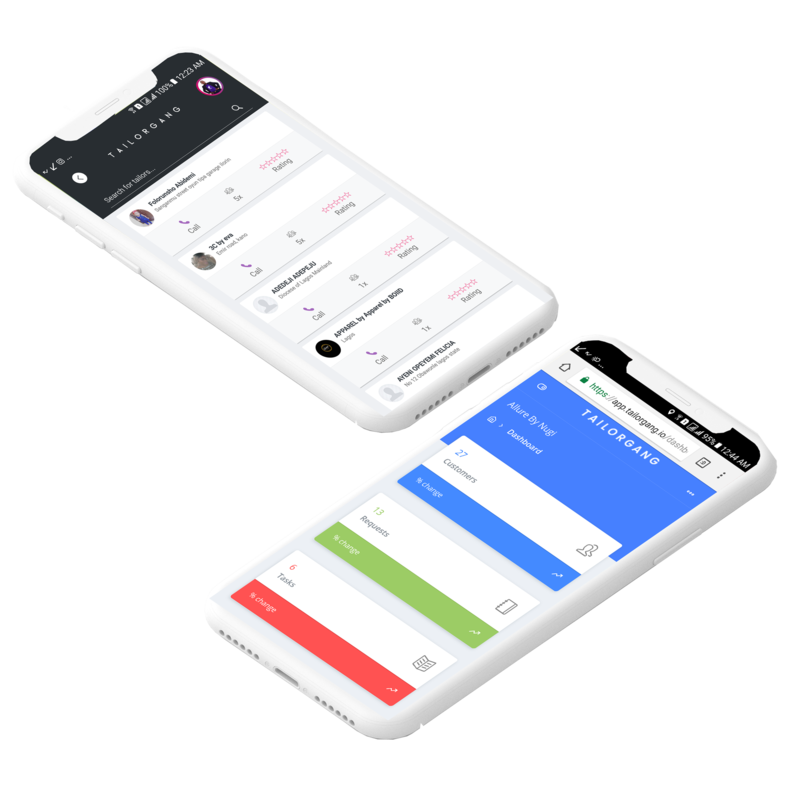 Manage all your customers from one place, issue invoices, send reminders for customers who are yet to make payment, it is all so easy and it simply works. Manage your styles, forget your measurement notebook, Tailorgang saves all your styles and lets you creates measurement templates just the way you have it in your small notebook. Save customer measurements and always reference, update or delete them. Earn extra when you teach your creativity to the community of would be fashion designers, manage all your classes, upload your videos, add a price tag to each class and watch your income grow. Respond to questions and comments within the classes, receive students works and give feedback in a social way.Your Fashion shop or house may be on a street, With Tailorgang, your market place is the world. Grow faster when you sell on Tailorgang, manage your production on Tailorgang, and release your products in our market place to reach the world. Whether a newbie or an established fashion designer, Tailorgang features inspires, improve and enhance your delivery. Get the Tailorgang app and see thousands of designs from different Tailors. Chat with customers and other Tailors. Inspire your everyday work by unlocking all the features on Tailorgang. 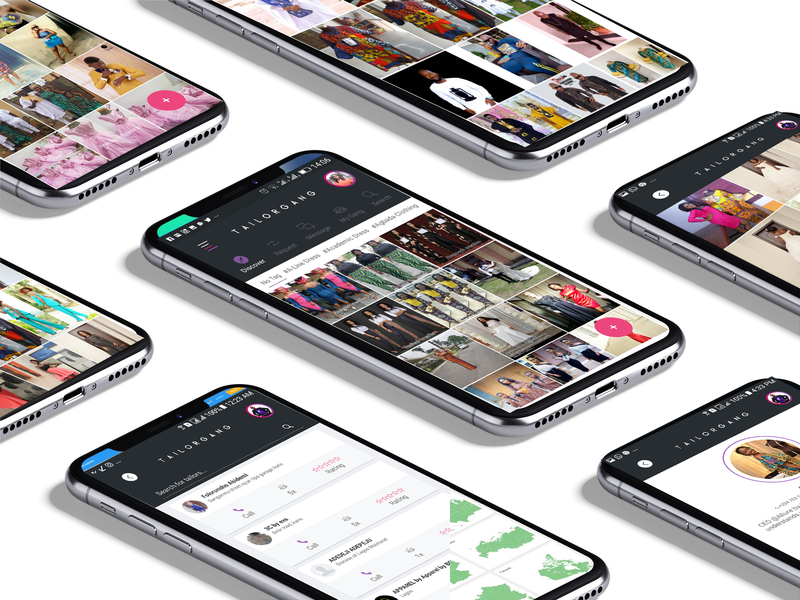 Put your creative energy to work with all the features on Tailorgang, tap into our ever growing community of Tailors and customers. Get access to all the updates as they we release them. Tailorgang has a roadmap and the best way to get updates is to subscribe to our blog. For generations now, the world has experienced series of fashion trend come and go. With each of these trends putting their mark on the world. With an increasing number of designers in Africa and Nigeria in particular, there is a surge of designers who are transiting from bearing popular street names to recognized and respected fashion houses in the industry. The Nigeria fashion industry has come of age, since pre-colonial times. Fashion design has changed from being a trade for the uneducated street girls who needed some skill to get by in life. With an active Tailorgang subscription plan, you can watch and stream classes at your own time. With our plan to cover 10 seasons a year including very elegant designs from the best tailors, you are guaranteed quality content all year round. Get unlimited access to all Tailorgang seasonal classes. No restrictions! Access, learn, ask the tutors unlimited questions, post your work for reviews and get feedback from the tutors. Learn at your own pace! Get access to all 10 seasons a year, over 100 classes from beginner to expert level. No restrictions! Access, learn, ask the tutors unlimited questions, post your work for reviews and get feedback from the tutors.There is always a new class coming. Our ERP plans are flexible; a free plan that lets you use all the beautiful features and as your business grows, you can subscribe to the paid plan. We know how difficult it could get running your fashion businesses; this is why we have scaled the cost of Tailorgang to make it affordable to everyone. Pay monthly or annually, just the way you want it, based on your budget and funds availability. Choose yearly to save for the future. © 2019 Tailorgang. All rights reserved.